Jacob Tedrow married Louisa Bobo, daughter of Jared Bobo and Lavinia Kanny, on 30 December 1860 at Vinton, Ohio, USA. Mary Louisa Tedrow married John F. Bobo, son of Jared Bobo and Lavinia Kanny, on 25 February 1877 at Vinton, Ohio, USA. Her married name was Bobo. Rose Terpe was also known as Rose Ashenfelter. (?) Testatrix was born in 1885.1 He married Helen Lockwood Cassel, daughter of William S. Cassel and Laura Gigax, in 1905. Elizabeth Theis was born in 1880.1 She married Edward F. Starkey, son of William Starkey and Elizabeth Denbow, on 19 April 1911.1 Her married name was Starkey. Mary Thiel was also known as Mary Brosemer. Robert Louis Thomas Jr. was born on 9 March 1943 at Little Rock, Pulaski, Arkansas, USA. He Reference: Knowledge of his father. He died on 18 November 1988 at Hot Springs, Garland, Arkansas, USA, at age 45. He was buried at Hot Springs, Garland, Arkansas, USA. (?) Thompson was born in 1806. Andrew Thompson was born in 1832. He married Catherine Keffer in 1852. Andrew Thompson died in 1915. Andrew Thompson was born in 1769 at Harford, Maryland, USA. He married Elizabeth Denbow, daughter of John Denbow and (?) Martha, in 1794 at Maryland, USA. Andrew Thompson died in 1835 at Harrison, Ohio, USA. Basil Thompson was born in 1813. Clemency Thompson was born in 1810. Eli M. Thompson was born in 1798. Eliza Thompson was born in 1808. Elizabeth Thompson married Joseph Denbow, son of John Denbow and Sarah Brooke, in 1884. Elizabeth Thompson Reference: Data from Gary A. Denbow, great grandson of her husband. 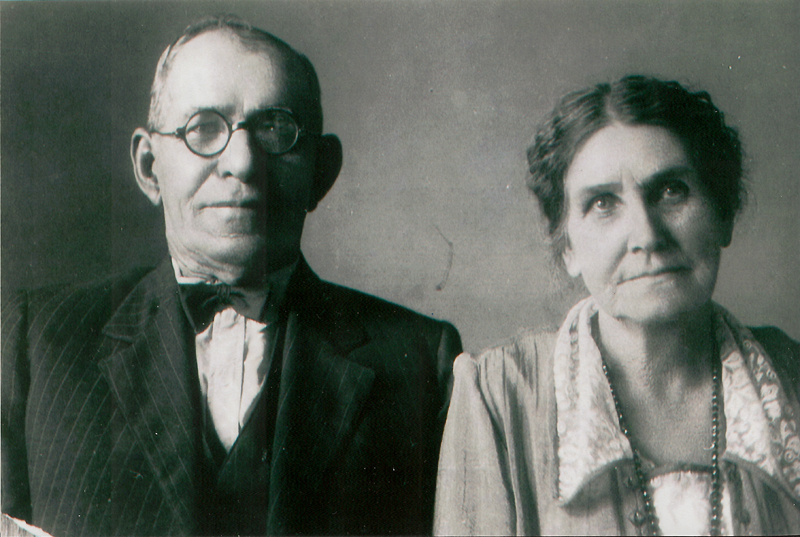 Ellen Thompson was born in 1860. She married Hamilton Denbow, son of William Denbow and Anna Dillon, in 1878.1 Her married name was Denbow. Florence Thompson was born on 4 July 1897 at New Philadelphia, Tuscarawas, Ohio, USA. 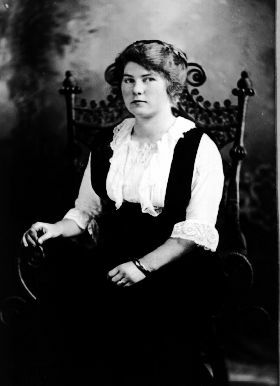 She married Edward Frederick Arbogast, son of Christian Arbogast and Caroline Paulus, on 4 April 1918. As of 4 April 1918,her married name was Arbogast. Florence Thompson died on 26 April 1993 at Dover, Athens, Ohio, USA, at age 95. Grabiel Thompson was born in 1804. Josiah Thompson was born in 1795. He married Cassandra Denbow, daughter of Thomas Denbow and (?) Wife Of Thomas, in 1825. Josiah Thompson died in 1870. Labe Thompson was born in 1862. He married Eliza Jane Denbow, daughter of William Denbow and Anna Dillon, in 1882. Sarah Thompson was born in 1801. Susie Marie Thompson was born on 30 June 1900 at New Philadelphia, Tuscarawas, Ohio, USA. She died on 26 August 1915 at Neffs, Belmont, Ohio, USA, at age 15. She was buried on 26 August 1915 at Stone Creek, Tuscarawas, Ohio, USA. Vincent Thompson was born on 10 March 1869 at Tuscarawas, Ohio, USA. He married Rachael Adeline Kelley, daughter of Sebastian Cabot Kelley and Susan Denbow, on 19 November 1896 at New Philadelphia, Tuscarawas, Ohio, USA. Vincent Thompson died on 12 August 1936 at New Philadelphia, Tuscarawas, Ohio, USA, at age 67. He was buried on 15 August 1936 at Stone Creek, Tuscarawas, Ohio, USA. Zachariah Thompson was born on 20 February 1796 at Bush River Lower Hundred, Harford, Maryland, USA. He married Priscilla Albaugh on 15 January 1822 at New Rumley Twp, Harrison, Ohio, USA.1 Zachariah Thompson died on 15 November 1880 at Brush Creek, Fayette, Iowa, USA, at age 84; Brush Creek was later called Arlington. He was buried at Groat Cemetery, Arlington, Fayette, Iowa, USA.